Hummus has been one of my favourite foods for years; it's just the greatest on salads, with lots of cooked veggies, with pita bread, on toast, or just to dip carrot sticks into. I love classic hummus but I'm obsessed with coming up with new flavour combinations to make the dip a little more exciting. 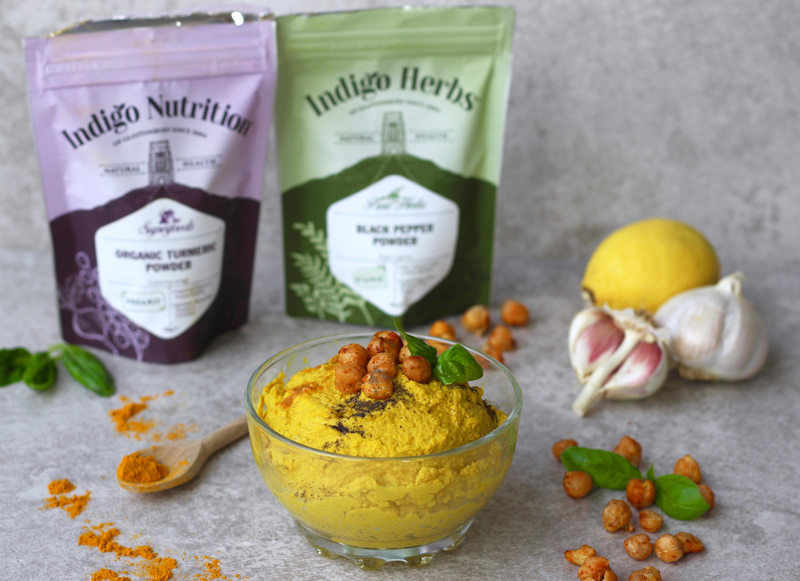 My current favourite is a warming turmeric flavour hummus that's completely perfect for the Winter months! 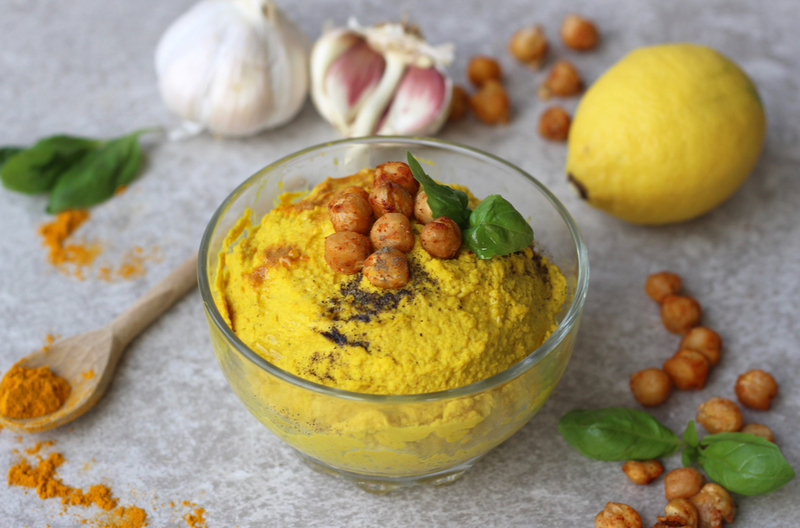 This turmeric hummus is made with all the classic hummus ingredients such as tahini, chickpeas and olive oil but I've added in turmeric powder and ground cumin for a little spice and warmth. The combination is a total dream! I made the recipe in collaboration with Indigo Herbs, using various products from their online store - which is my go-to site for all things healthy cooking and baking. 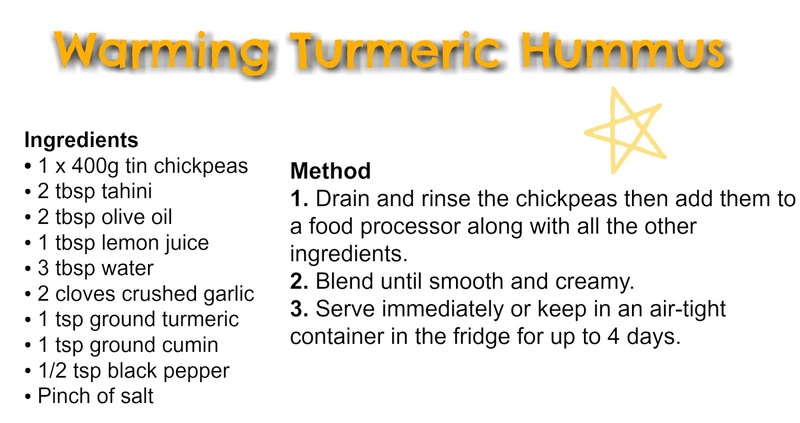 I used their tahini, turmeric powder, black pepper and himalayan sea salt in this recipe. See the photos and full video recipe below!